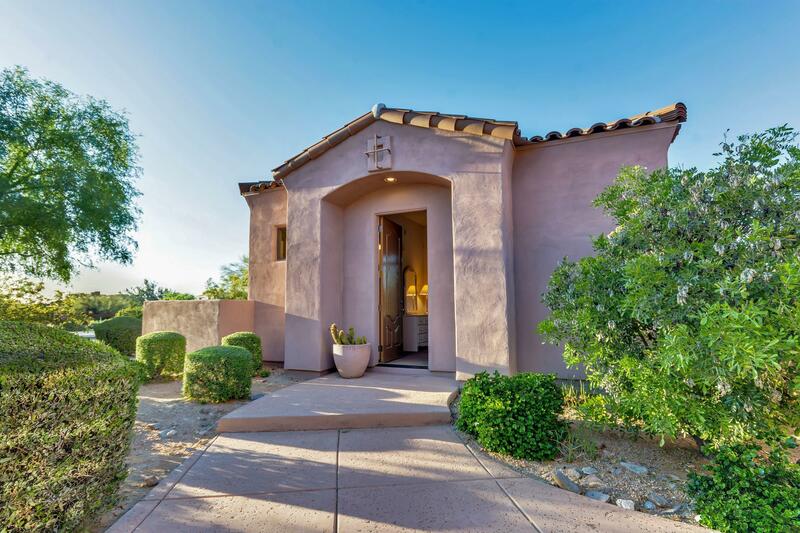 This beautifully upgraded home in prestigious DC Ranch Country Club sits on a peaceful near ½ acre lot with spectacular views. 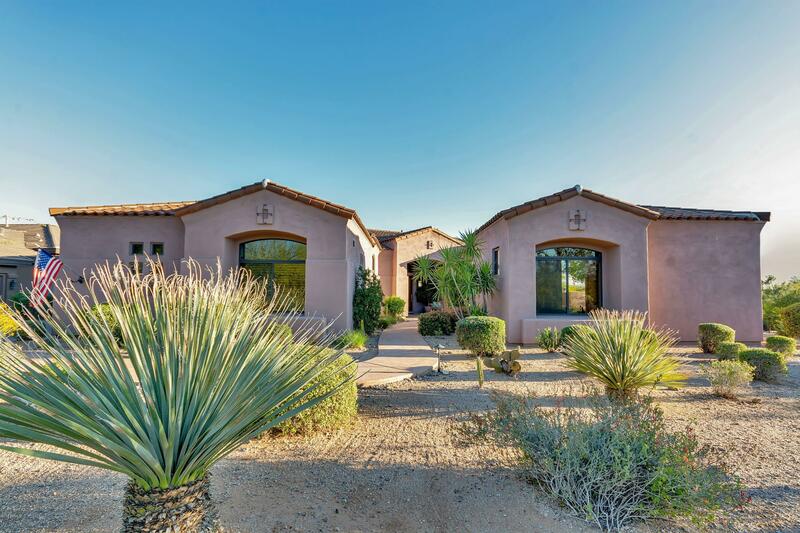 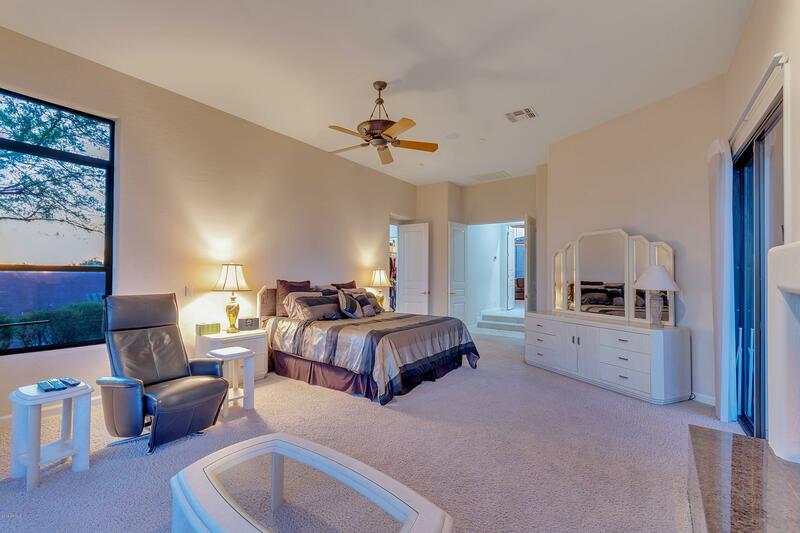 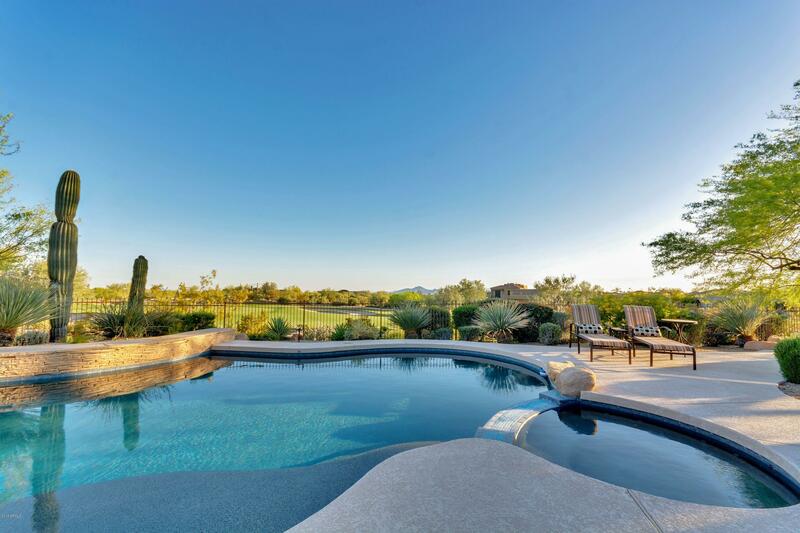 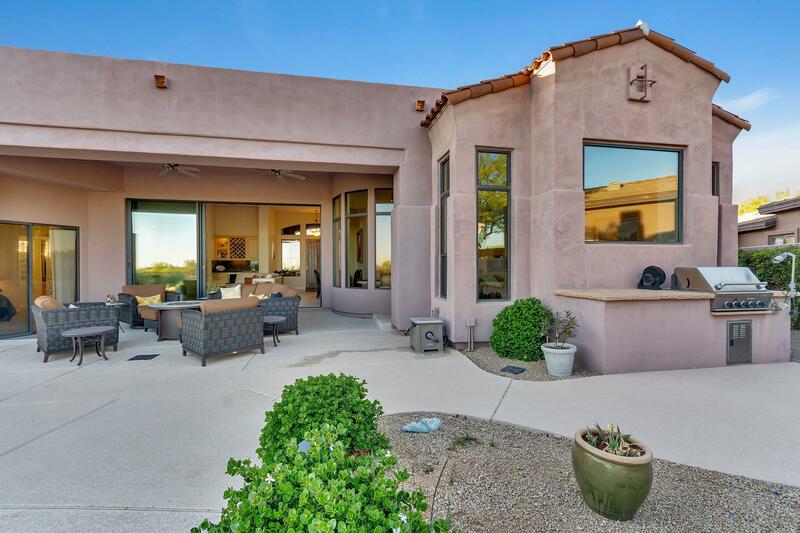 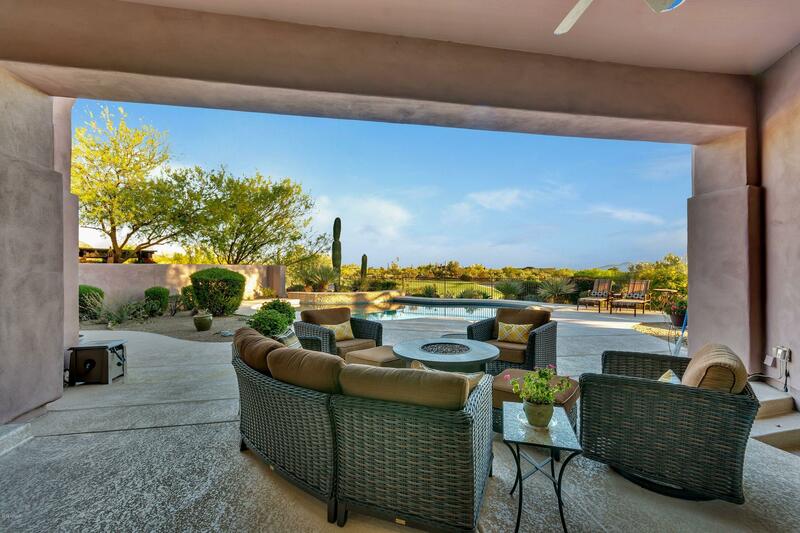 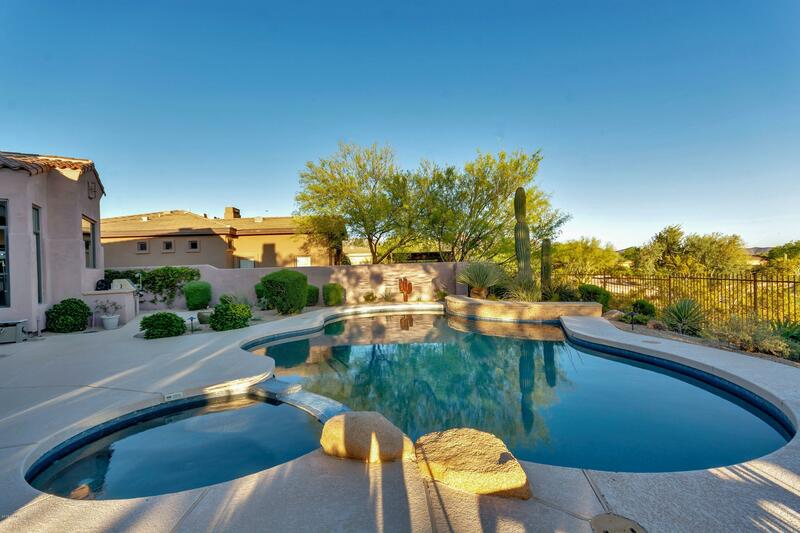 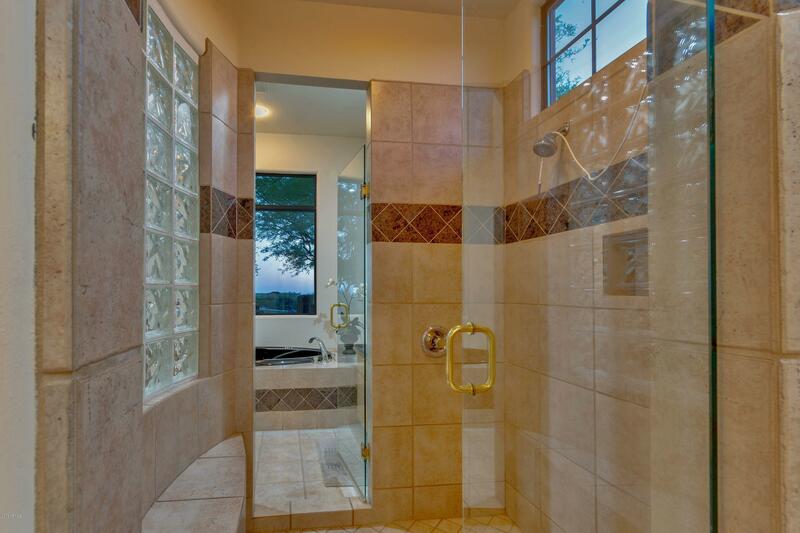 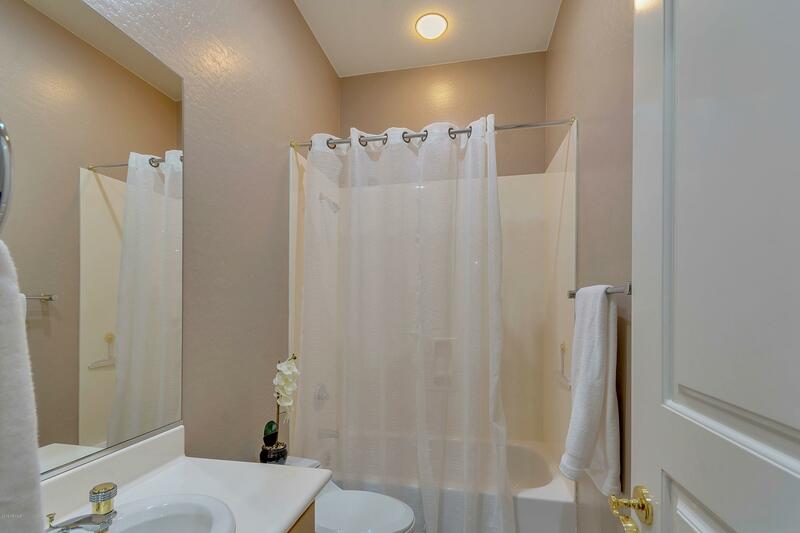 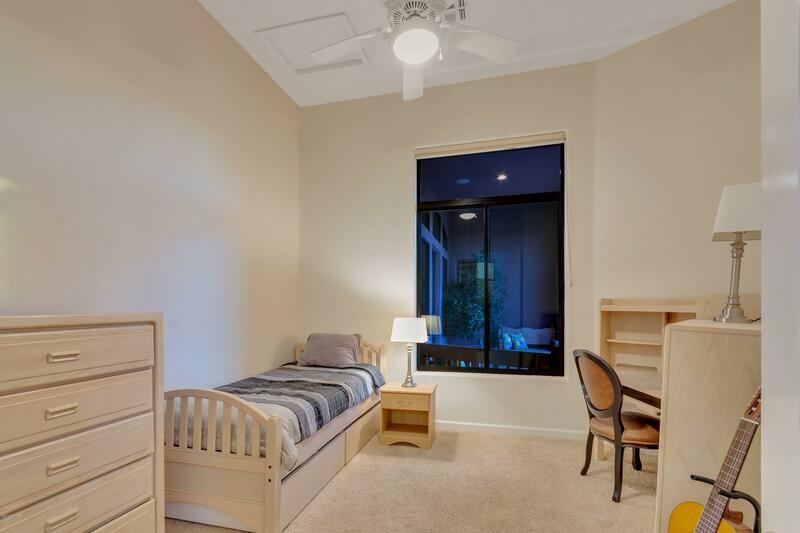 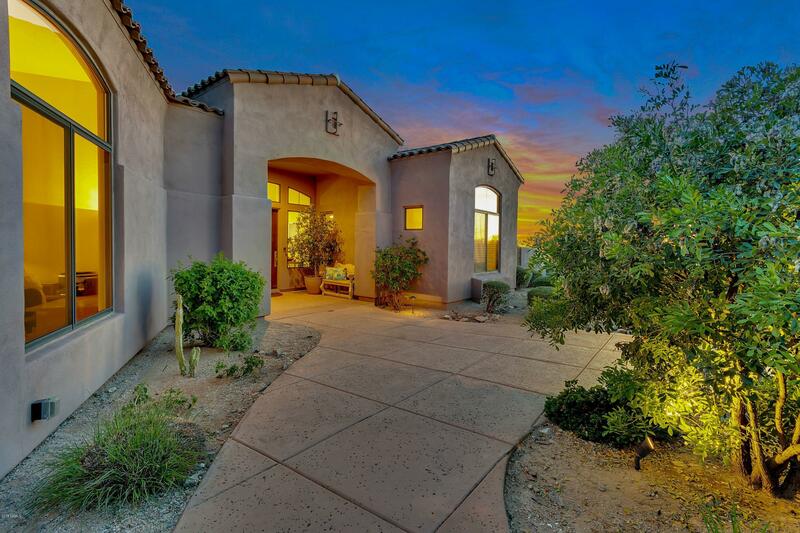 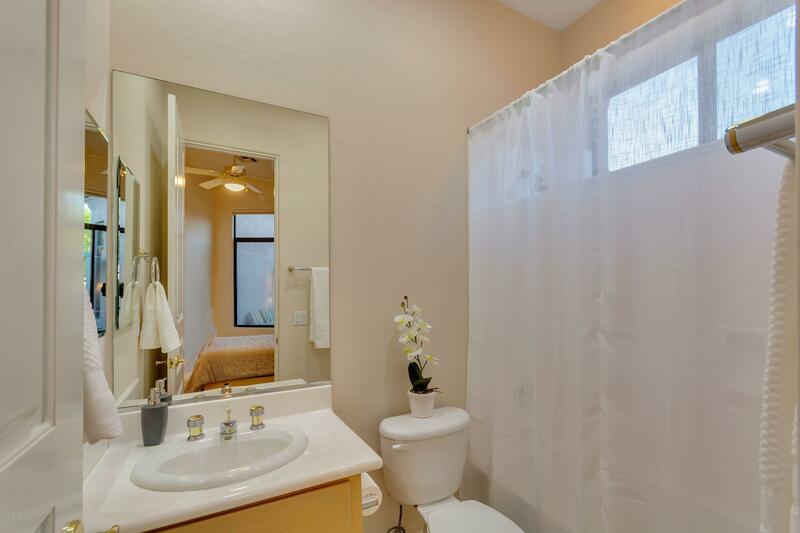 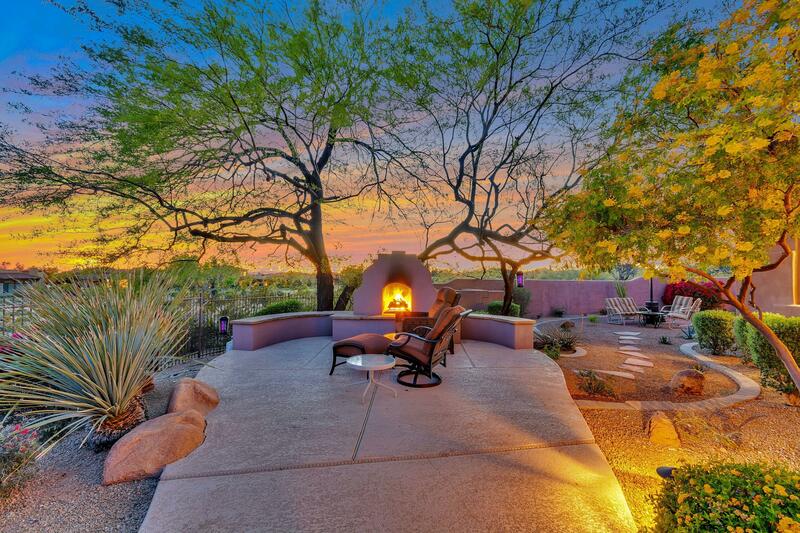 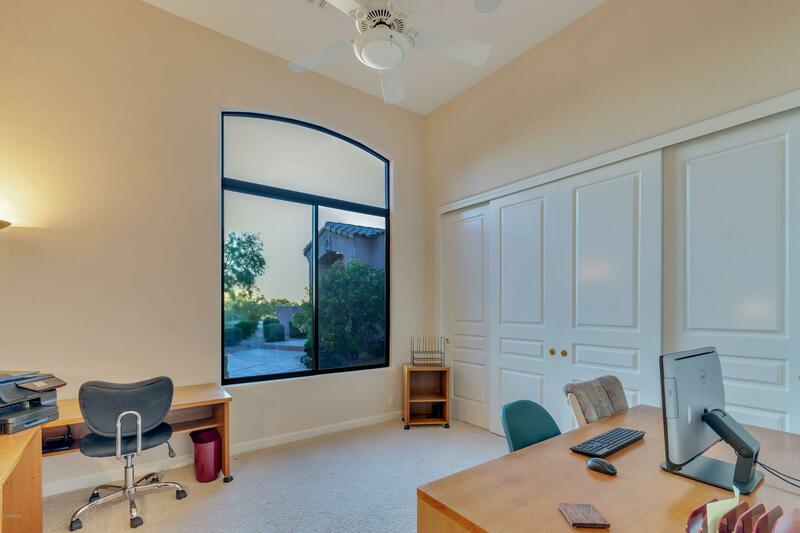 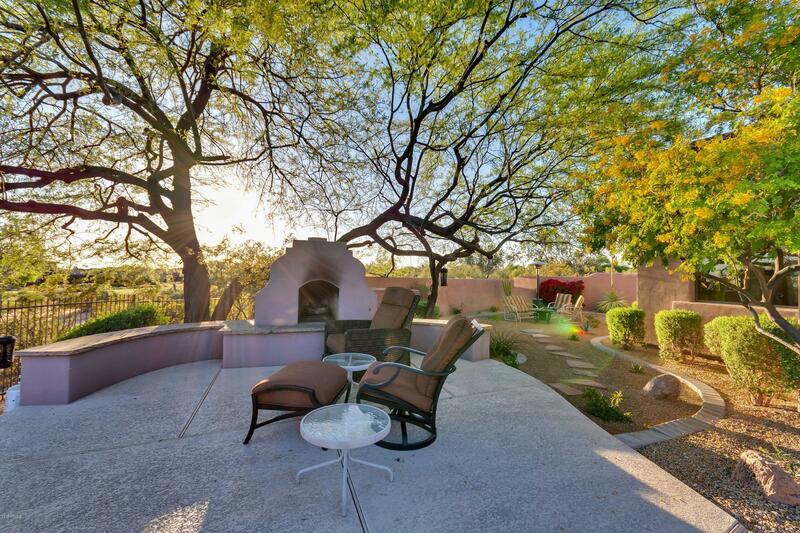 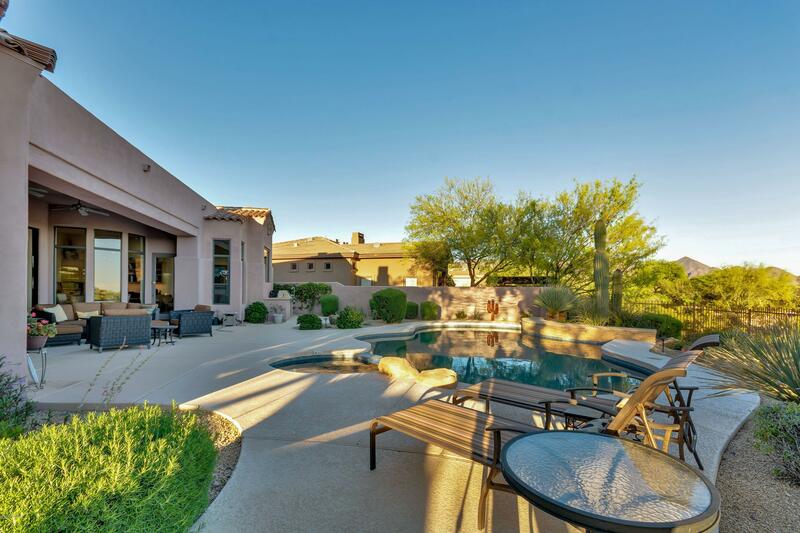 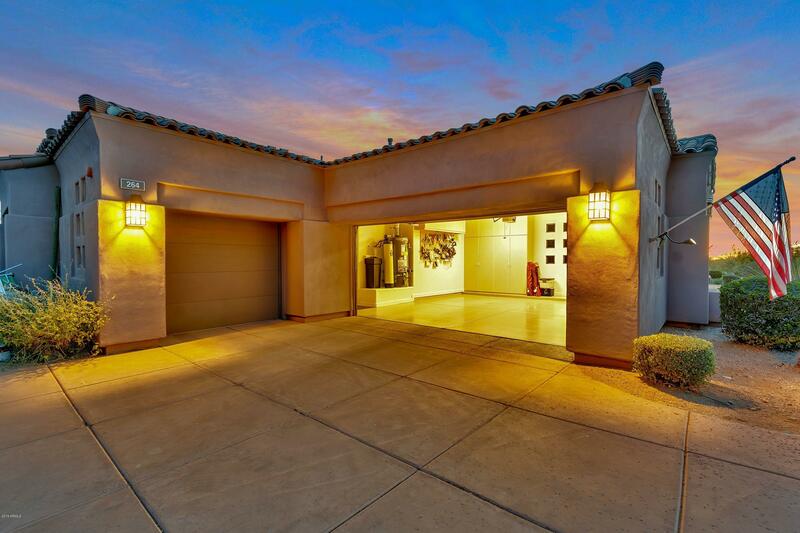 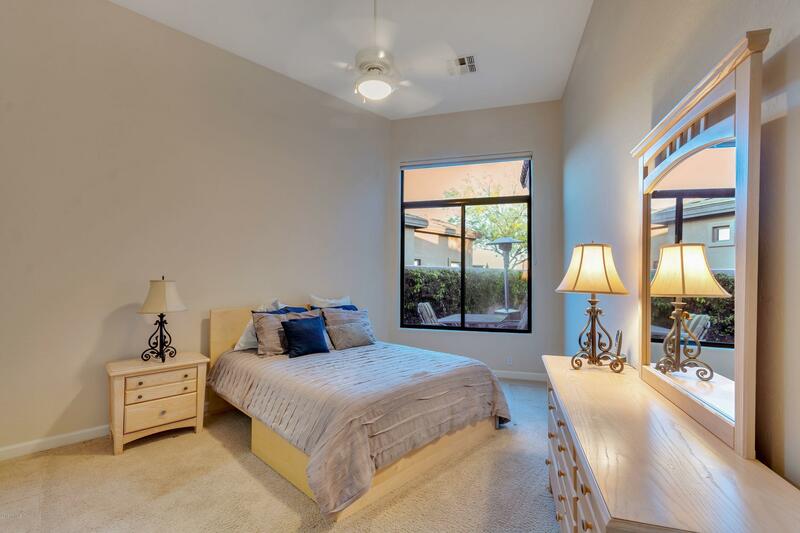 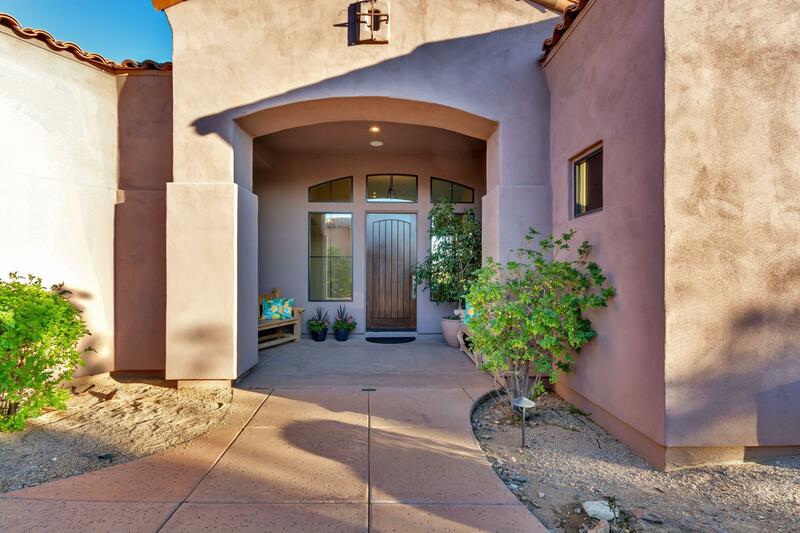 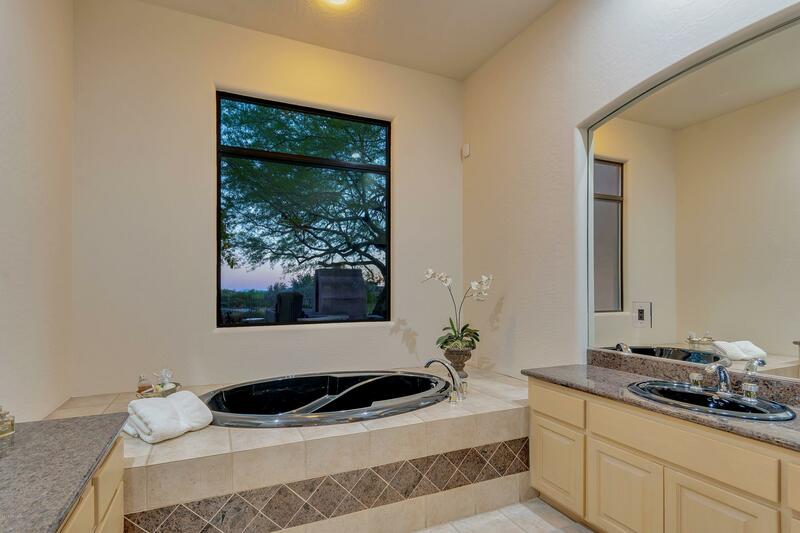 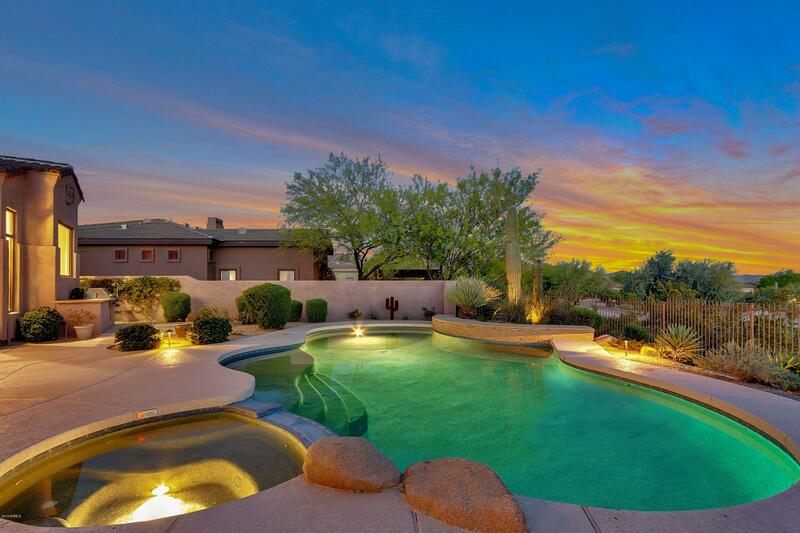 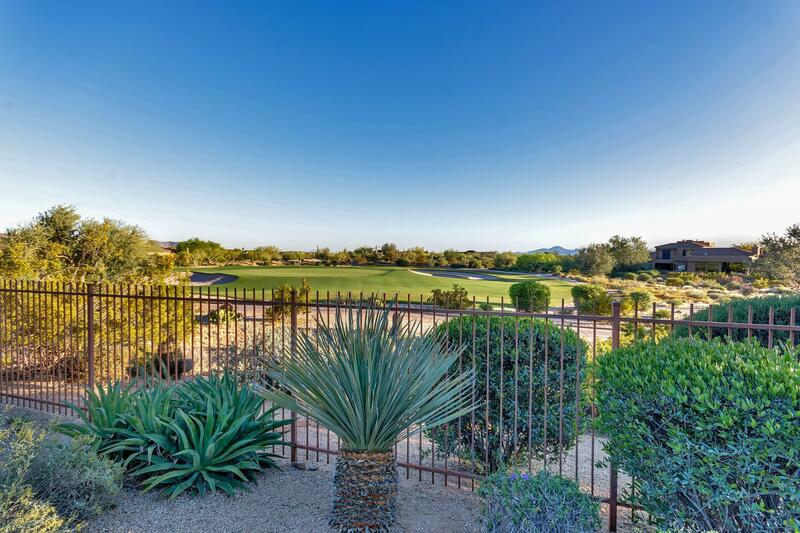 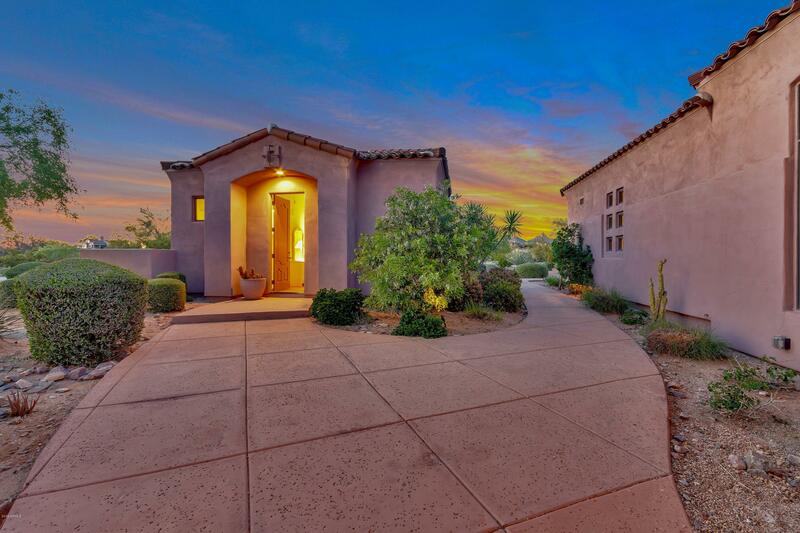 Imagine seeing the McDowell and Camelback Mountains, the golf course and city lights from your backyard paradise! 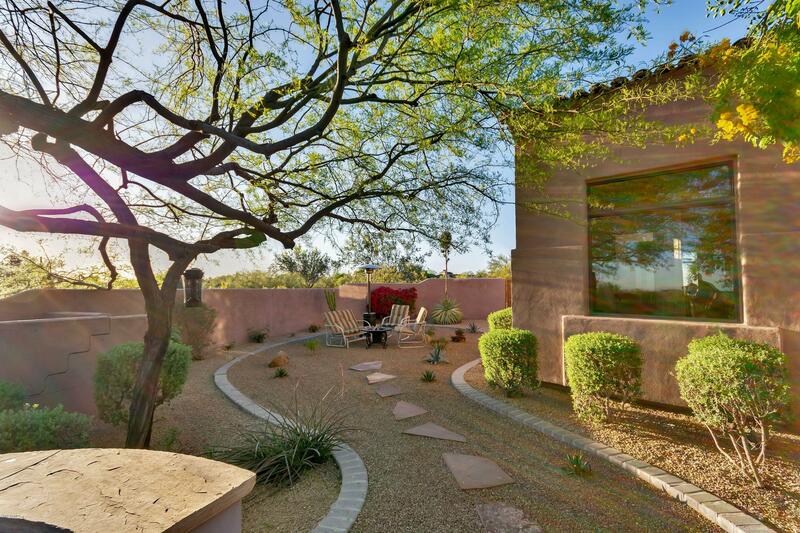 On top of that the grounds in the back of the home are raised offering ultimate privacy. 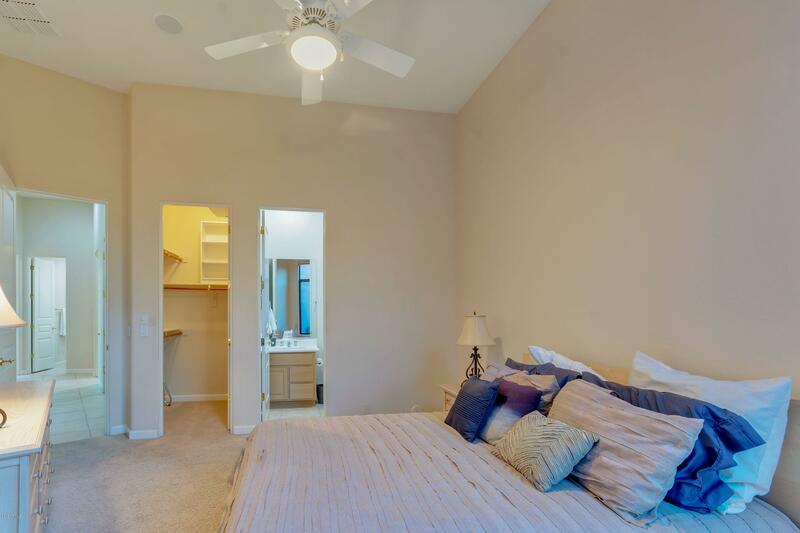 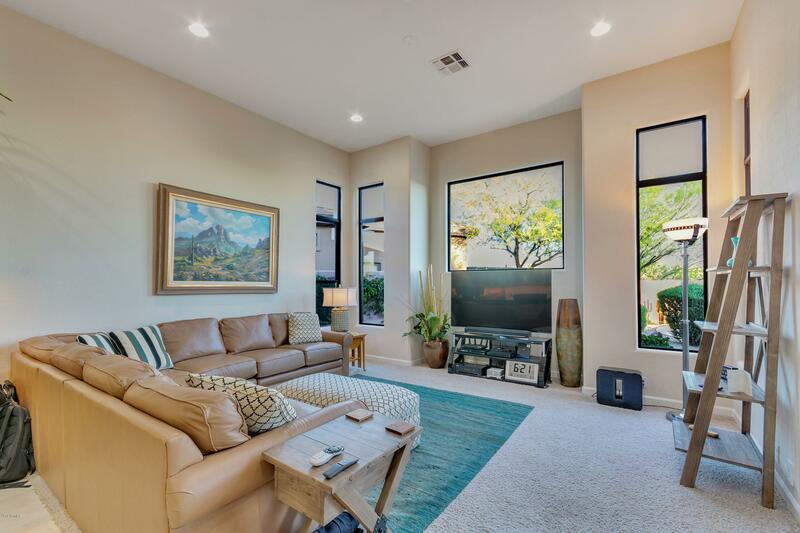 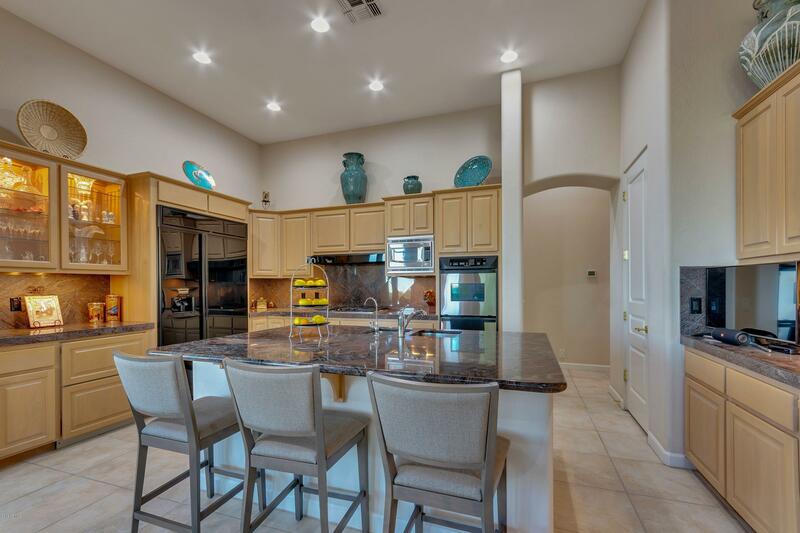 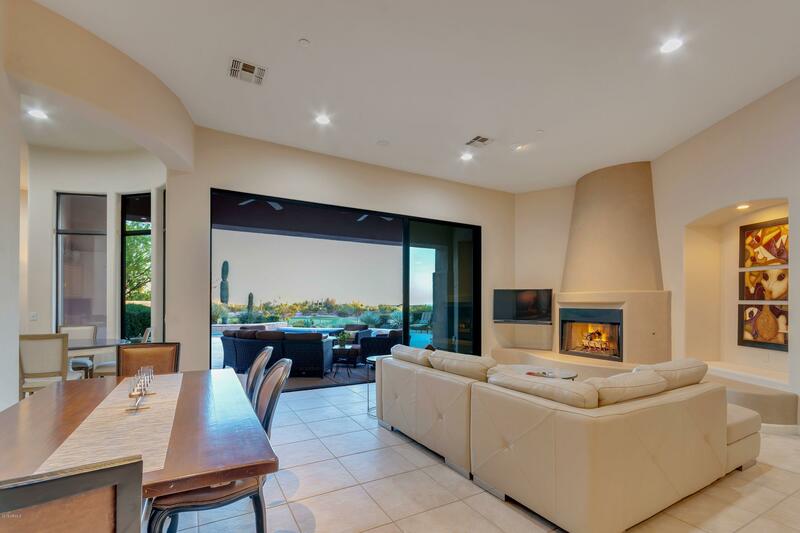 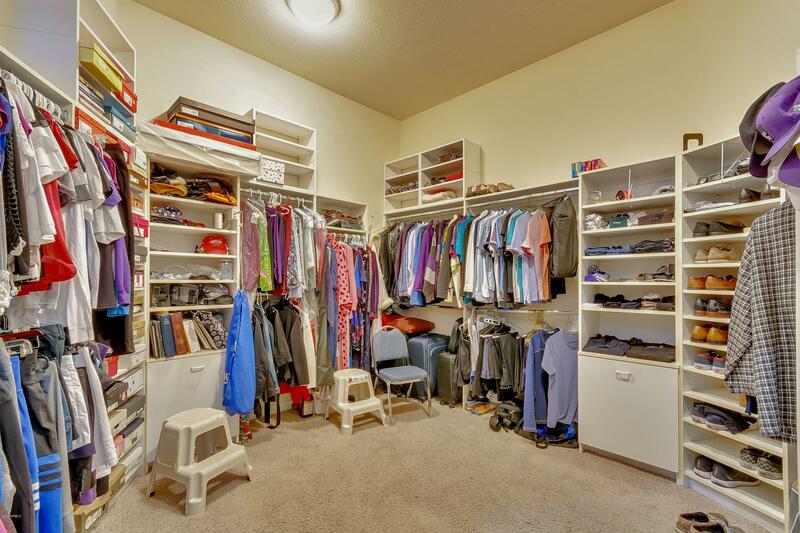 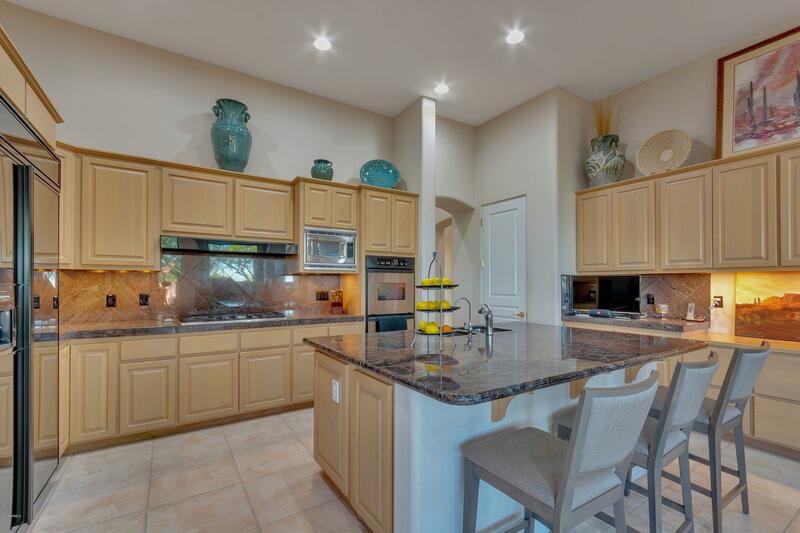 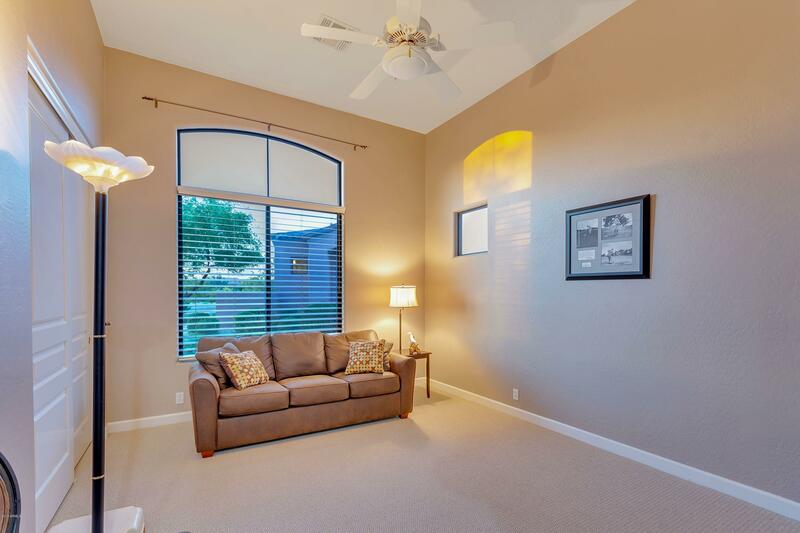 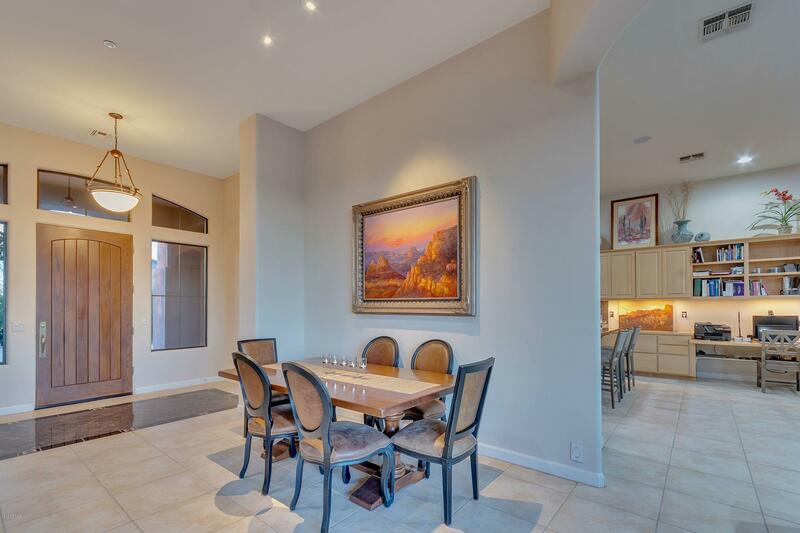 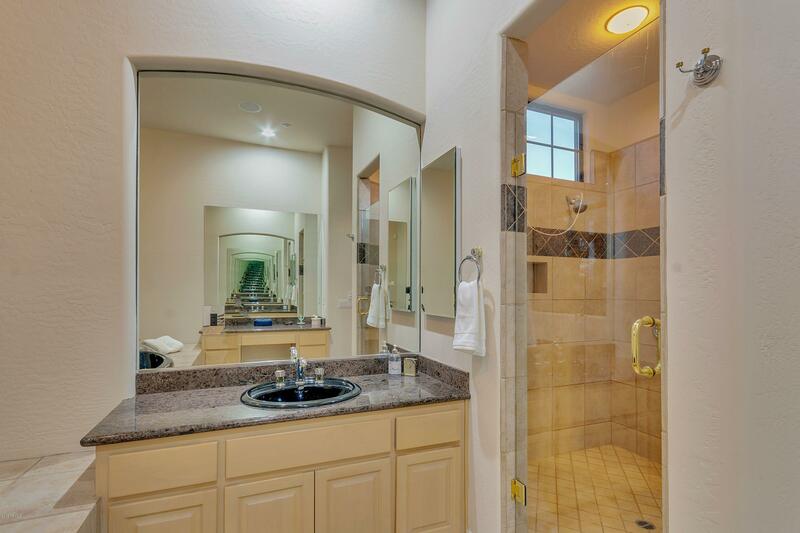 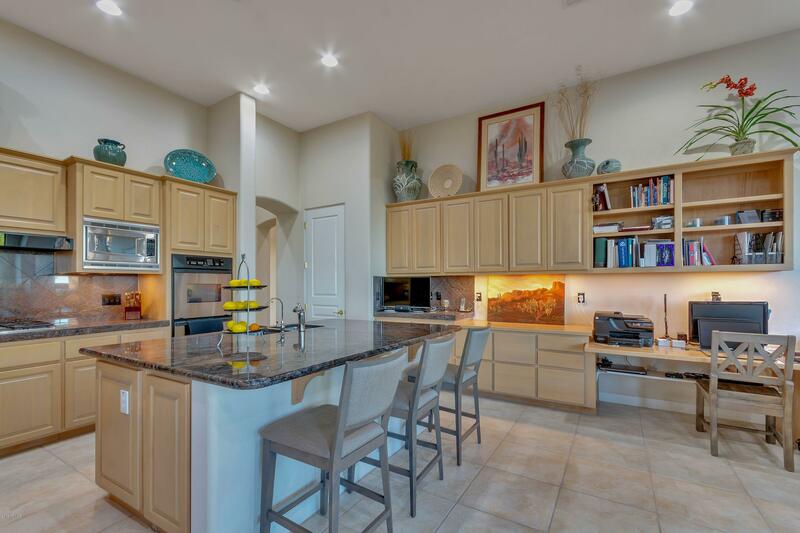 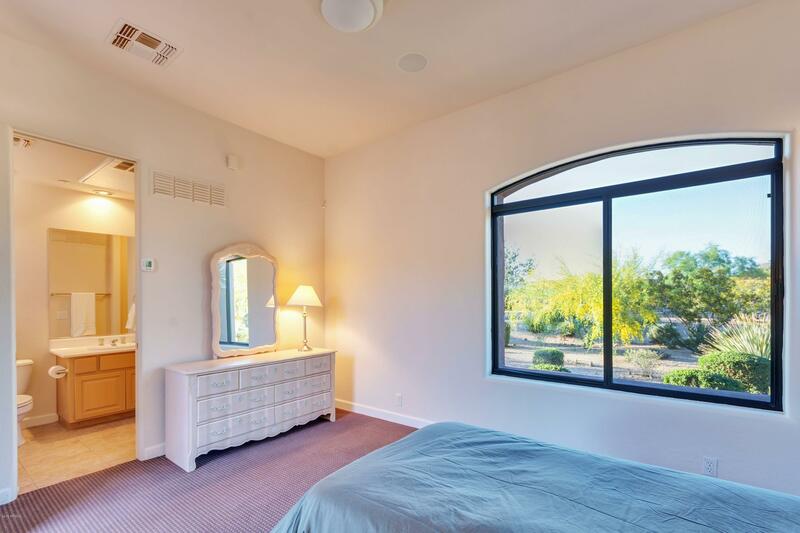 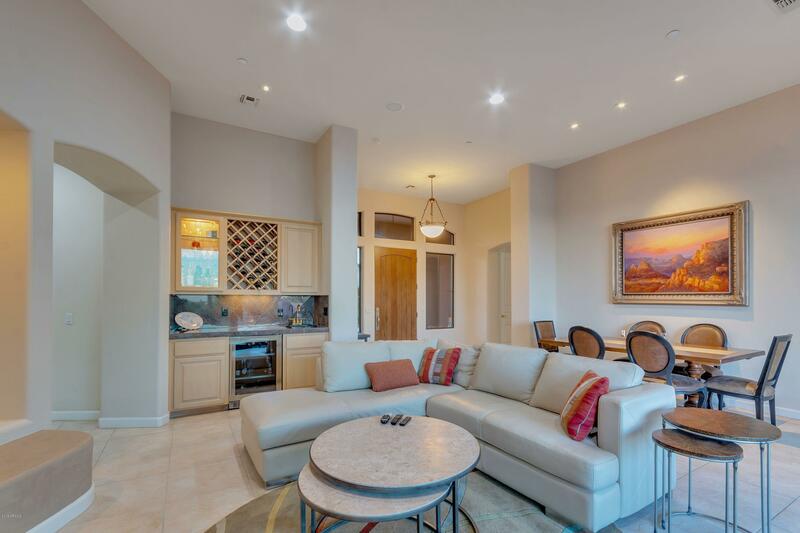 Remodeled floor plan provides enhanced livability with a separate guest house that looks out to Pinnacle Peak. 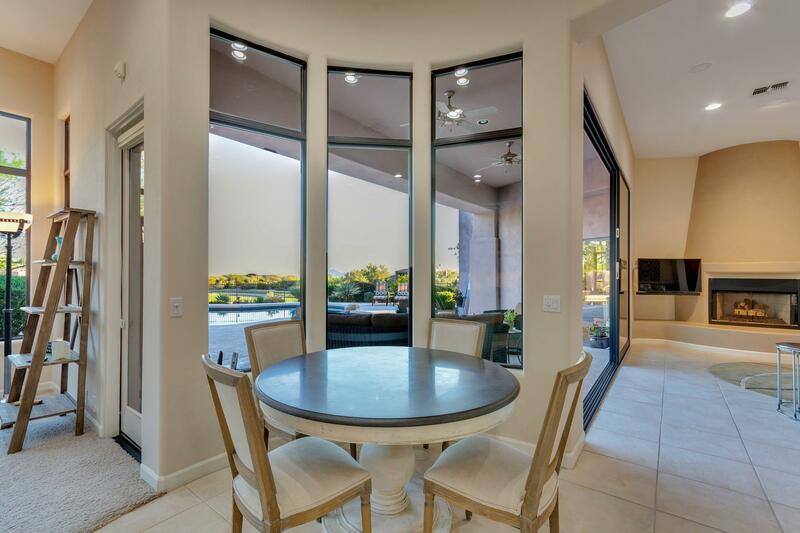 Nine-foot-tall sliding glass doors open to make your home and backyard oasis seamlessly blend into one living space. 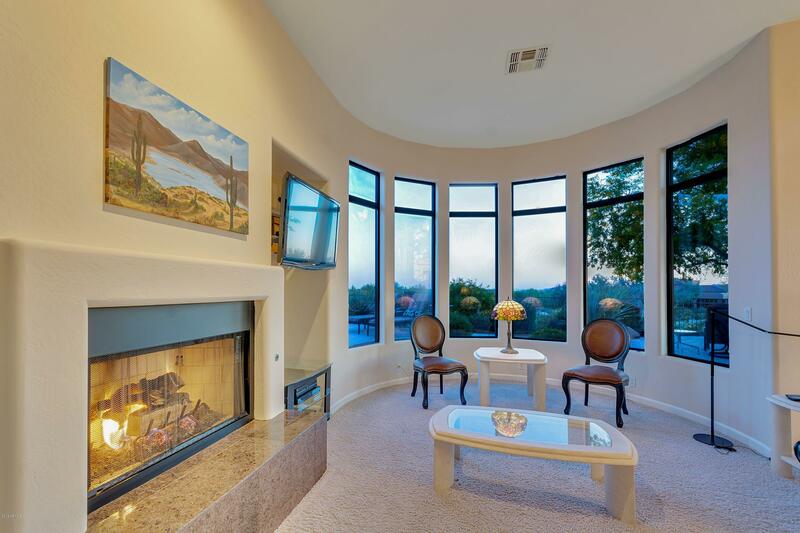 Master suite living room and kitchen offer picturesque views. 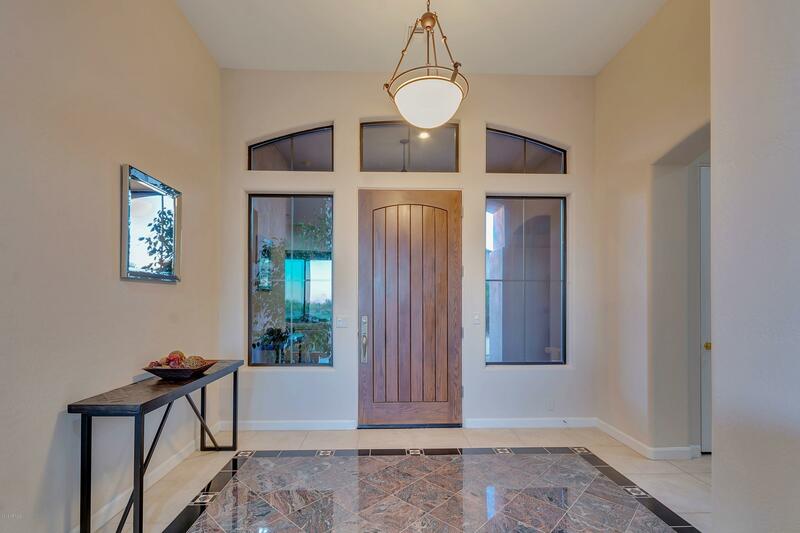 Stone flooring in the main living areas. 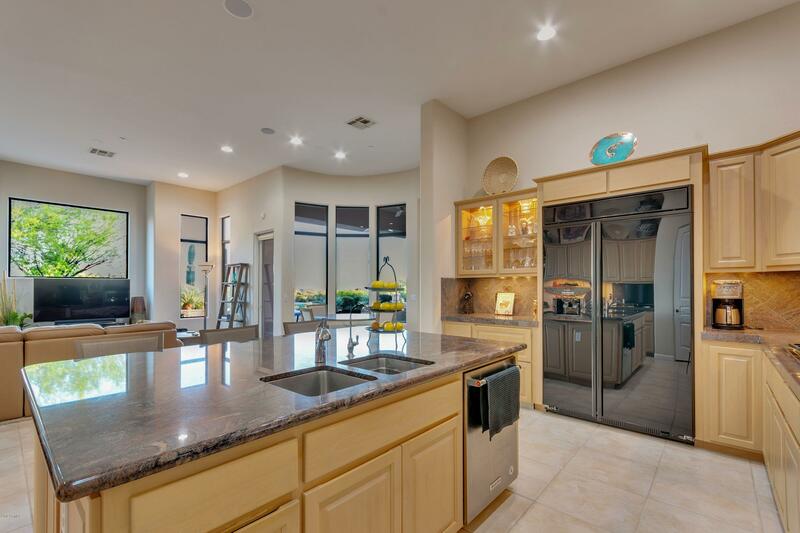 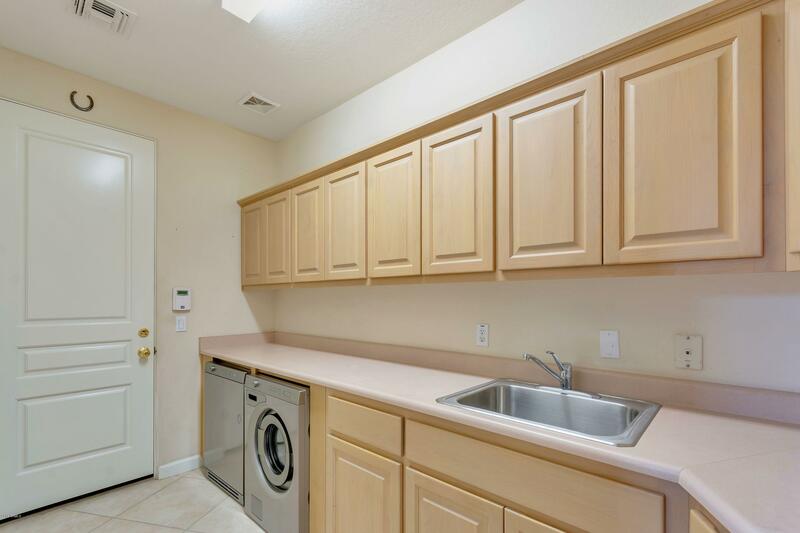 Kitchen features natural gas cooktop and dual electric ovens.There are three new AC/ heating units installed in 2016.Heated Spa & pool.